The DMI Comfort Foam Roll relieves tension off your neck and back by targeting pressure points in the right places to give you great comfort and support when you are sitting. 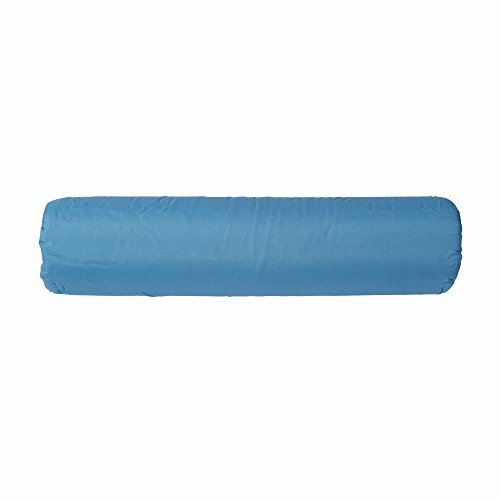 This roll is made from 100 percent polyurethane foam that comfortably cushions the targeted area. Great for your neck, back and under knees! Use it at home, at work or on the go! Take it on the plane, car, boat or RV. It is convenient, lightweight and easy-to-carry. Wherever you go, this foam roll always does its job in providing you relaxing comfort, support and pain relief. Perfect for home and travel! Convenient and easy-to-carry! Great for office chairs, airplane seats, car seats, boats and RVs! Removable polyester/cotton cover is machine washable. Comfort & Relax 3-inch Foam Mattress Topper with Ultra Soft Cover, King Size, 75.5" x 96"